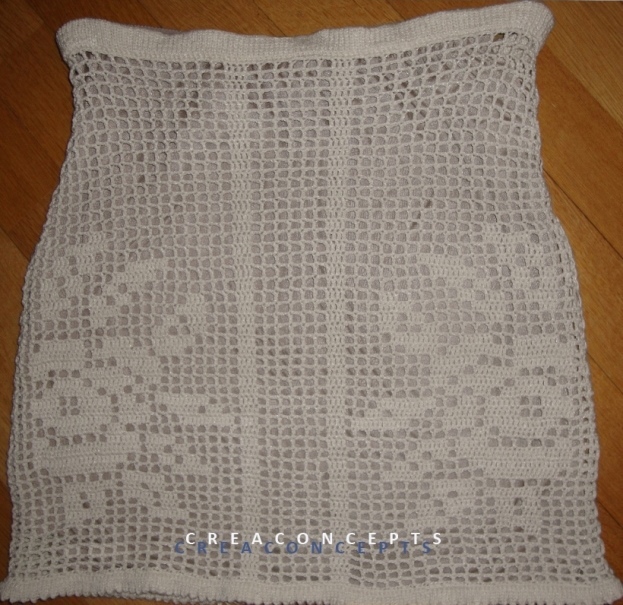 Both crochet tutorials include detailed tutorial in English of how to work filet patterns, make necessary decreases and increases in the filet technique, calculate the amount of chains for the first row if your gauge is different etc – it is rather a beginner’s guide. Row-by-row instructions for the edge pattern with photos of the process are included. Although there is a slight mistake in the original pink tunic by Eternal Sunshine Creations (left and right sides in front are a bit different :)), the drawn pattern has no such mistakes :).